If your department will be sponsoring students to remain on campus after the standard move-out dates (May 3 for most students, May 6 for graduating seniors), please complete a Department Late Stay Request form for residence life. If your department did not receive a copy of the template for making this request (sent March 15), please contact the Office of Residence Life at reslife@up.edu or x7205. These requests are due by April 5 to Ezequiel Delgado-Cervantes at delgadoc@up.edu. Your department will be charged $49 per person per night unless you specify that the students’ accounts should be charged. Students who do not need to stay for any department but wish to request a late stay for themselves should submit a Petition Form to Modify Housing Contract to residence life. 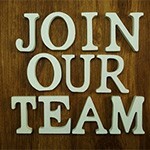 Do you or anyone you know have an interest in becoming an assistant hall director at UP? Please join residence life, in conjunction with the School of Education, for an information night about UP’s MA in Higher Education and Student Affairs program on Thursday, March 14, at 7 p.m. in the Office of Residence Life, Tyson 123. Serving as an assistant hall director comes with 100% tuition remission and many other benefits. Pizza and LaCroix will be served; please RSVP to reslife@up.edu by Wednesday, March 13. Join the Office of Residence Life on Friday, March 8, from 4 to 5 p.m., in the Pilot House as we bid a warm farewell to housing coordinator Jessica Wode. Jessica joined the residence life team in 2013 as office manager, and then moved into the housing coordinator role in 2015. Jessica is leaving The Bluff to join TNTP as a data manager. We hope to see you on March 8! HALLoween 2018: Get Ready for Fun! Faculty, staff, and neighborhood families are invited to participate in the annual HALLoween trick-or-treating night in selected UP dorms on Wednesday, October 31, from 5 p.m. to 7 p.m. Children through sixth grade can trick-or-treat, a great way to celebrate Halloween in a safe and controlled environment. 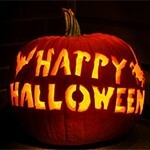 All children wishing to participate in HALLoween must be accompanied by a parent or guardian. There will be one check-in location at the Chiles Center Plaza and parking in the main lot. Everyone must check in at this location to gain admittance to the residence halls. HALLoween is sponsored by the Campus Program Board and the Office of Residence Life. For more information contact Jake Murphy at murphyja@up.edu. 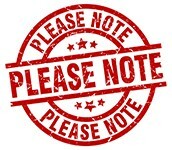 If your department will be sponsoring students to stay on campus after the traditional halls close on December 14, or to arrive before the halls re-open on January 12, 2019, please complete a Department Extended Stay Request. If your department did not receive a copy of the template for making this request (sent October 16) , please contact the Office of Residence Life at reslife@up.edu or x7205. These requests are due by November 15 to Jessica Wode at wodej@up.edu. Your department will be charged $49 per person per night unless you specify that the students’ accounts should be charged. Students who are not working for any department but wish to request an extended stay for themselves should submit a Petition Form to Modify Housing Contract to the Office of Residence Life. 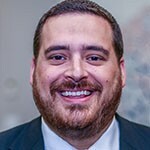 The student affairs division has announced the appointment of Andrew Weingarten as director of residence life. 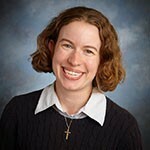 Weingarten most recently served as director of residence life at Manhattan College in Riverdale, New York. He has eight years of experience at Manhattan College, a Lasallian institution, serving in a number of roles from assistant residence hall director, housing operations coordinator, area coordinator, assistant director of residence life for judicial affairs, and assistant director for housing & operations to director of residence life. Andrew has served on the Title IX coordinator’s advisory committee and has investigated and adjudicated Title IX cases, he has supported students of concern through the college’s CARE team, he has experience with Green Dot Bystander Intervention programs, and he has implemented assessment programs to support and improve student retention. He will begin his new duties on Monday, September 3. Campus Resource Fair, Aug. 16: Participants Welcome! The Office of Residence Life will be hosting their annual Campus Resource Fair during resident assistant training on Thursday, August 16, from 12:30 to 1:30 p.m., on the Terrace Room patio. All campus partners are invited to participate. 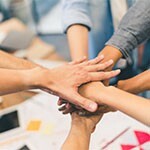 This is an opportunity to connect resident assistants (RAs) to as many campus partners as possible, who can share information on how they can support the RAs in programming efforts, and for RAs to assist in getting each campus department’s name and mission out to on-campus residents. If you are interested in having a table at this year’s Campus Resource Fair, please contact Bryn Rose at roseb@up.edu by Thursday, August 9. 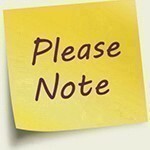 All departments that will be sponsoring students to arrive on campus prior to the standard move-in dates (August 23 for new students, August 25 for returning students) are asked to complete a Department Early Arrival Request, according to Jessica Wode, residence life. Templates for making this request were sent via email on June 20; please contact residence life at reslife@up.edu or x7205 if your department did not receive one. Early arrival requests are due by July 20 to Jessica Wode at wodej@up.edu. Departments will be charged $49 per person per night unless it is specified that the students’ accounts should be charged. 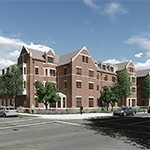 Students who are not arriving early for any department but wish to request an early arrival for themselves should submit a Petition Form to Modify Housing Contract to residence life. For more information contact the Office of Residence Life at 7205 or reslife@up.edu. If your department will be sponsoring students to remain on campus after the standard move-out dates (May 4 for most students, May 7 for graduating seniors), please complete a Department Late Stay Request form for residence life. If your department did not receive a copy of the template for making this request (sent March 12), please contact the Office of Residence Life at reslife@up.edu or x7205. These requests are due by April 6 to Jessica Wode at wodej@up.edu. Your department will be charged $47 per person per night unless you specify that the students’ accounts should be charged. Students who do not need to stay for any department but wish to request a late stay for themselves should submit a Petition Form to Modify Housing Contract to residence life. Fresh Check Day is a carnival-like mental health fair, where different student organizations, offices, and departments host booths with interactive games and activities, according to Matt Connolly, residence life. Last year, UP hosted their first ever Fresh Check Day, and over 300 students, staff, and faculty participated in the event. 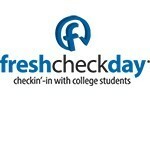 This year’s Fresh Check Day will be held on Friday, March 23, from 12-3 p.m., in the Bauccio Commons. If you or your organization is interested in participating, would like more information, or for ADA accommodations, please reach out to Connolly at connolle@up.edu.